The Jerome Professional Building sits at the corner of N. Mill and Bleeker streets. The building's overhaul will include installation of a green roof and geothermal wells. The Spring Building is 100 percent leased out, with a restaurant that will be expanding soon. 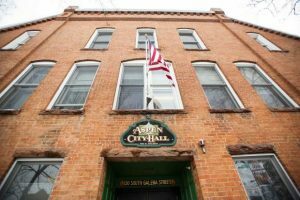 “That’s pretty rare right now in downtown commercial Aspen,” said Adam Roy, of Method Planning + Development, representative for the developer of the building on Spring Street. When planners envisioned the Spring Building as a vibrant mixed-use property with a cafe, it was somewhat of a “head scratcher” for a lot of the community, Roy said. Their idea was to spur a whole new pedestrian corridor, coming down East Hyman Avenue, passing the future Aspen Art Museum, turning down East Hopkins Avenue and feeding into the core. With that model, the team that designed the Spring Building is looking to repeat its success in the north end of Aspen at the Jerome Professional Building, located at Bleeker and Mill streets. “We’re looking at the Jerome Professional as sort of incubating a potential new vibrancy in that part of town,” Roy said, adding that aside from where Clark’s Market, the post office and the Laundromat are located — just down North Mill Street off of Puppy Smith Street — there’s not a whole lot of destination for pedestrians. Roy called both buildings “sleeper properties,” ones that are not necessarily at the top of the list for brokers. They’re properties on the periphery, not in the heart of downtown. 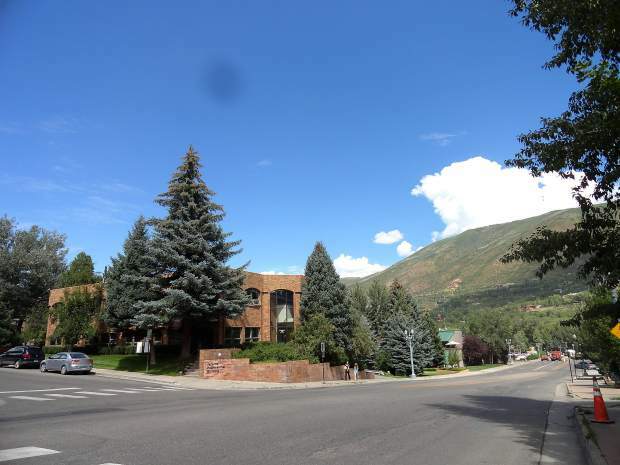 And if North Mill Street has the same success as Spring Street, it would be the last part of Aspen to have a “renaissance, so to speak,” Roy said. Before the Spring Building was remodeled, it had more green space but less pedestrian activity. The same sunken courtyard existed, but there was nothing inviting about it. By using sun angles, flowers, water and the right seating placement, the property has been reborn. All over the country, architects are trending toward green design. The Spring Building, with a garden on its roof, is just one example in Aspen. The Muse Building (next to the future Art Museum) and the Aspen Core Building (next to Little Annie’s) also have been designed with green roofs, both to be installed by Connect One Design, the company Thornely works for. 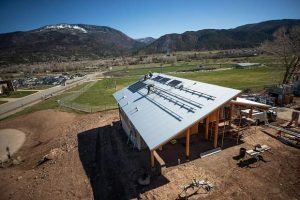 With geothermal wells moderating indoor temperatures in the summer and winter, the roof is absent enormous heating and cooling equipment, leaving room for plants and solar panels. Without the equipment, a lot of noise and vibration is eliminated. Some developers, however, don’t see past short-term costs of installing such a system. According to Beazley, the system has a seven- to 15-year payback in utility bills, not to mention the credits it gets from the city for environmental stewardship. 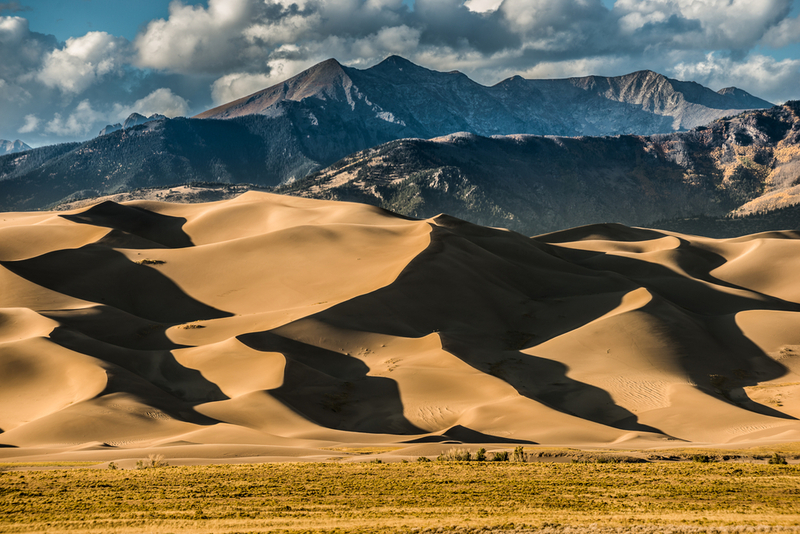 Twenty feet underground, the temperature of the earth remains constant year-round — typically at the average mean temperature of the local climate. In the summer, hot air is pumped underground and returns as cool air. It’s the opposite in the winter. And just like solar, you get a head start on the energy cycle. Some developers worry that if a roof is covered in plants, leaks will be difficult or expensive to repair. At the Spring Building, the plants were pre-grown in individual trays, dividing the garden into small, removable portions. In theory, the plants can be pulled up one by one without disrupting the ecosystem. Because green roofs are becoming more commonplace — in the U.S. and especially in Europe — more manufacturers are jumping on the bandwagon, creating a wider variety of products. Starting out, everything was custom-fitted and more uncertain, increasing costs. Older models required between 2.5 and 3 feet of soil, which weighs twice as much when saturated. The newer systems are much more shallow, requiring only 4 inches of soil. “In terms of the information that’s available and the quality of product, it’s improving dramatically,” said Sara Tie, who is on the green-roof design team. Roy said because the owner of both buildings, Michael Rudin, of New York City, lives in Aspen part of the year, he’s more interested in sustainability.